I have mentioned this a couple of times but yes, I do collect books with movie adaptations. My current bookshelf consists of 70% books turned to movie, 30% personal finance, productivity and self-help. (I also maintain a number of devotional books which I excluded from the ratio). As to how it all started I don’t really know and remember anymore. All I know is whenever I watch a trailer of a movie coming out based on a book and I like it, it’s mandatory that I purchase the book. Do I read the book first or watch the movie? Mostly watch the movie first or as mentioned, the trailer. This way I can visualize the character (the actors who played the part) as I’m reading the book. It gets easier for me to picture the scene and really be in the zone to finish reading. Some may disagree in this method but it’s how I do it. 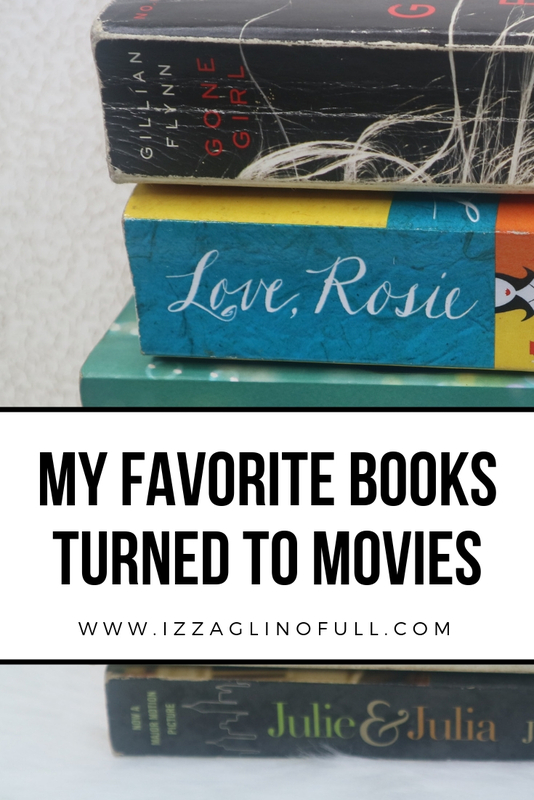 And in this post, I’m finally sharing my favorite books turned to movie. If you love the film but have never read the book or read the book but have not watched the movie then better start binge reading/binge watching now. The Lovely Bones tells the story of 14-year-old high school freshman Susie Salmon and her tragic death. Susie was raped, murdered, dismembered and enclosed in a safe by her neighbor George Harvey. In the book, as it is in the movie, the main narrator is Susie as she is now in the “In-Between” or more known as the “Limbo”. I really like how the book started with “My name is Salmon, like the fish; first name Susie. I was 14 years old when I was murdered on December 6, 1973. I was here for a moment and then I was gone” while in the movie the same like was used in the end as Susie finally enters Heaven. The gruesome death of Susie portrayed in the movie is almost as breathtaking as what is in the book. They really casted the most suitable actors for the movie adaptation. In the book, Susie (with her spirit now in another girl’s body, Susie) made love while in the movie they only kissed. Why you should read (and watch) The Lovely Bones? The Lovely Bones hold a soft spot in my heart. It is one of the books you won’t be able to put down and a movie you won’t be able to forget. The Godfather depicts the story of the Corleone family and the mob war they fight with the other four Mafia families in New York. Although the book is a work of imagination by the author, Mario Puzo, and no Corleone Family exists in real-life, reading the book as well as watching its movie adaptation will make you believe everything happening actually happened in real-life. The book will put you in a different kind of roller-coaster ride with plot twists after plot twists so is the movie! Sonny’s death scene both in the book and the movie is phenomenal. The movie really executed what is written on the book. Some say this is one of those rare situation where in the movie is better than the book. I understand where critiques are coming from because the movie is really good and has some of the best actors ever like Marlon Brando and Al Pacino. But, I still think the book provides a different kind of experience. Memoirs of a Geisha is a historical novel written by an American author, Arthur Golden. The novel is told in a first-person perspective and portrays the life of a fictional geisha, Chiyo Sakamoto later takes the name of Sayuri, who became one of the most successful geisha in Kyoto, Japan. This book will fulfill your time traveling dream. You literally see yourself living in the geisha district in Kyoto. How to author did it fascinates me since the main protagonist was a fiction. You’ll love the movie too! I remember watching the movie with my family and re-watching it after reading the novel. The casting was amazing and I really think Zhang Ziyi, although she is Chinese, gave a fantastic portrayal of the life of a Japanese geisha. One of the best books I’ve ever read and something you will not get tired to read again. Now that I’m done with my top three I will now give you my runner ups. 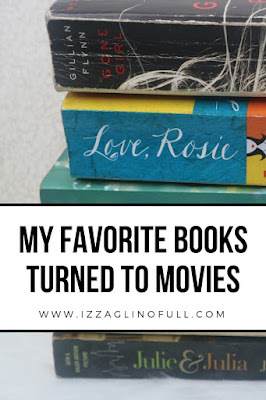 They are in no particular order and will just be sharing to you a quick summary and why you ought to read the book and watch its movie adaptation as well. Even the film version of Gone Girl is so good. Amazing acting by Rosemund Pike as Amy. My Sister’s Keeper tells the story of thirteen-year-old Anna Fitzgerald, who sues her parents for medical emancipation when she discovers she was supposed to donate a kidney to her elder sister Kate, who is gradually dying from acute leukemia. There is a big difference though in the ending of the book vs. the movie adaptation of My Sister’s Keeper. Although in both version the judge ruled in Anna’s favor, the movie ended with Kate eventually succumbing to her disease and died. In the book though, Anna died of a car accident and her kidney was transplanted successfully to Kate. So if you watch the movie but have yet to read the book, I am urging you to do so because there are other notable differences you will not expect. Me Before You tells the story of Louisa Clark and her efforts to change the decision of Will, a quadriplegic man whom she is working for, to end his life. The book is more than just a love story. It touches you to the core and resonates as you turn every pages. I compare this to what reading My Sister's Keeper made me feel, at some point I was smiling, giggling but towards the end everything became heartbreaking. The movie version is a must-see too! Eat, Pray, Love is a 2006 memoir by American author Elizabeth Gilbert. The book chronicles Gilbert’s trip around the world after her divorce and what she discovered during her travels to Italy, India and Indonesia. This book is a must-read for every woman. You will definitely relate with the author as she shares how her life changed during the season of indulgence, prayer and love. Love, Rosie is a story told through letters, emails and instant messaging about the ever-changing relationship between the two main characters Rosie Dunne and Alex Stewart. I remember reading this and I how dumbstruck I felt with how fate interfered between Rosie and Alex. I think of this book as a perfect read if you want to devour a not so typical love story. It provides one of the hardest storyline ever. The film adaptation was also really good too. I like how the male protagonist in Love, Rosie was played by the same male protagonist in Me Before You. Lily Collins also did a wonderful job as Rosie. I love how she portrayed the character so much especially the scene when she had to read a congratulatory message to Alex on his wedding. So much feels about this movie I can’t even wait to read and watch it once more. The movie Julie and Julia has a soft spot in my heart. I remember crying during the scene when Julie Powell was trying so hard to put a lobster in a pan. I can feel her frustration. Julie and Julia is based in a real event. The author Julie Powell, decides to write a blog to motivate herself and document her progress in cooking the recipes from Julia Child’s Mastering the Art of French Cooking. The fact that Julie blogs makes the story closer to my heart. I like both the movie and book as well. That’s it for today’s post. Thank you for reading. 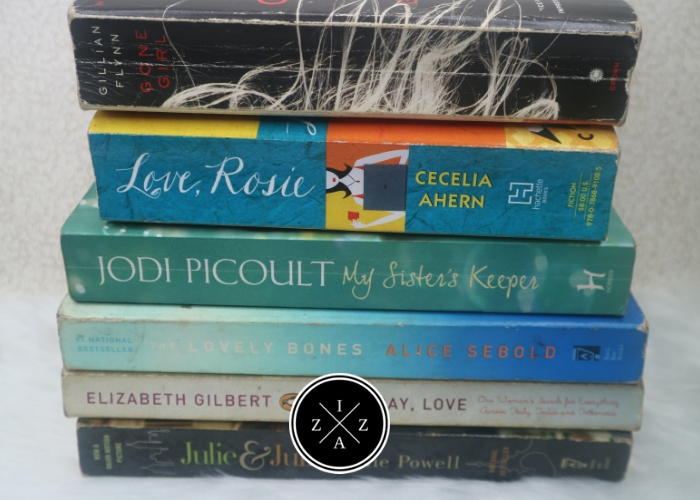 Which of the books in the list do you love?